Holiday time is here and if you are like many pet parents, entertaining is part and parcel of the season. 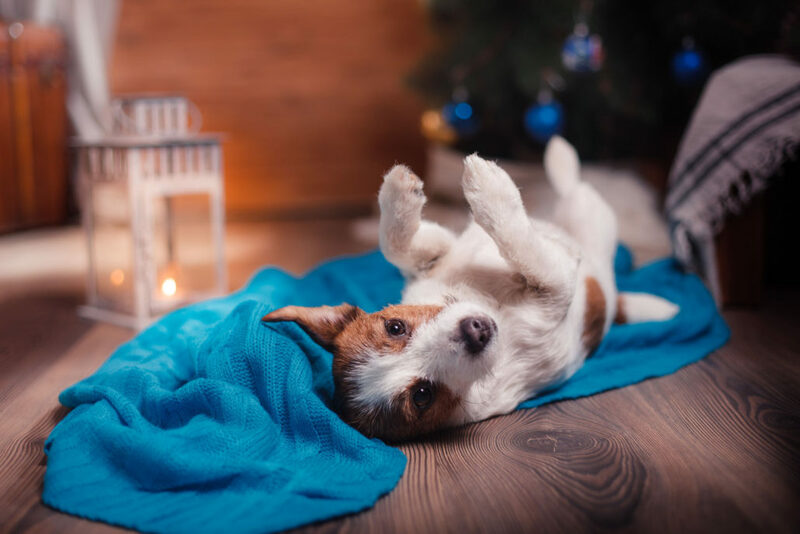 Being a pet owner, the challenge must surely arise as to how to keep your animal companion entertained when the festivities are in full swing. If you are planning the perfect party and pets will be present, strategy is needed for how to keep these important members of the family on their best behavior and not interfering with your hosting duties. 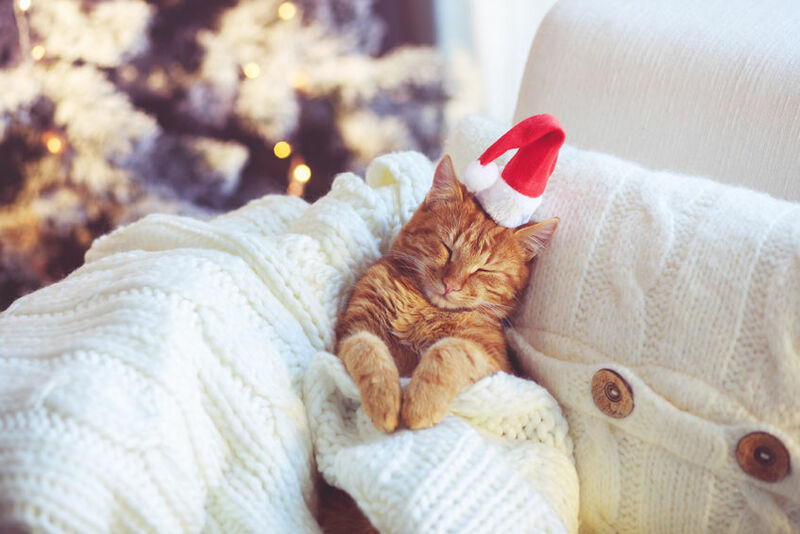 Read on for 8 ways to keep it calm on the home front when pets are on the holiday gathering guest list. Whether your pet of choice is feathered or furred, keeping him out of the welcoming process is most likely best for all involved. Not having to deal with the stress of constant new arrivals is key to comfort when it comes to pets. Greeting guests at the door is often not the favorite part of the evening entertainment for our animal family members; allow them quiet time away from the hustle and bustle of arrivals. Not only will dogs, cats, and other creatures appreciate avoiding the welcoming of party guests, they may also be thankful for a quiet place to hang out away from the revelry. A gated room, with music or television in the background just might be what your pet prefers as entertainment. Less activity, a more serene environment, and a space where they feel safe and secure could be the answer for a peaceful evening for both you and your animal family member. If you are not certain that your pet will want to be confined to a space yet you feel it is best for all involved, consider a pheromone plug-in for the room. These nifty devices are diffusers that emit nontoxic and odorless pheromone-like compounds that have been said to help many an anxious pet. It’s best to give this a try for a few weeks, to allow your pet the pleasure of the experience before the big night. Not all pet owners have seen a difference in the behavior of their pets, but many say a pheromone plug-in serves it’s purpose well, which is calming and soothing a dog or cat who may need a little down time. 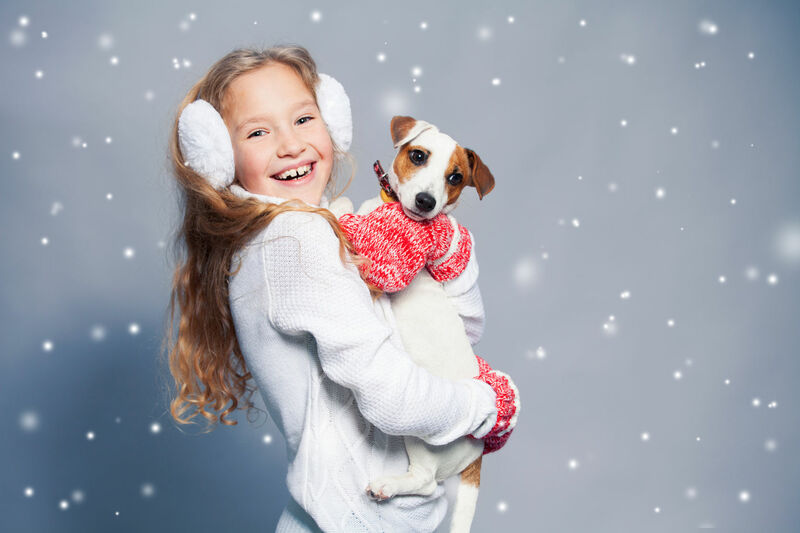 Providing a stimulating, fun filled day (or even few days) before the big event has been proven to keep a pet happy and in need of less entertainment during a holiday party. 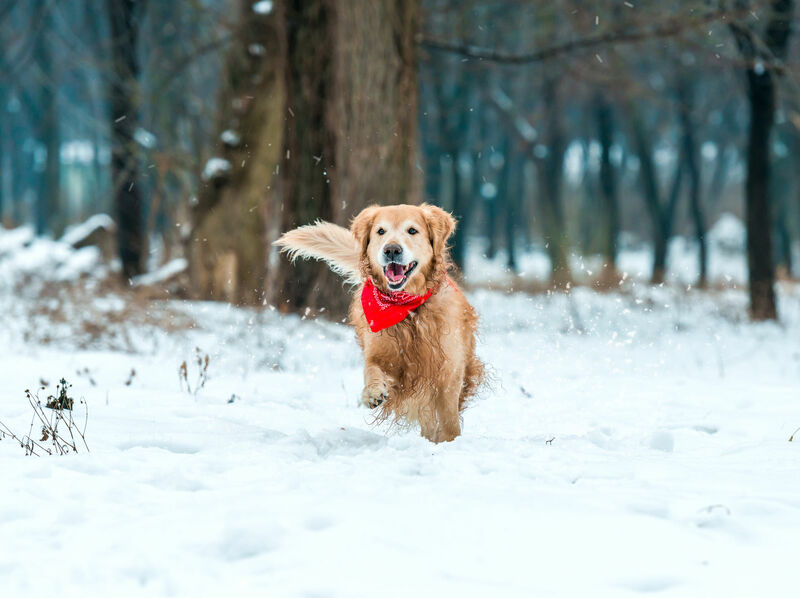 Activities with the family pet, such as a walk incorporating many instances of sitting, staying, and heeling will work your canine’s brain and therefore, help to make him ready for a quiet evening when the celebrations commence. When speaking of cats or ferrets, for example, games that allow exercise such as chasing a laser beam on the wall before the party will permit peacefulness later when guests arrive. Many pet parents work outside the home during the day and because of this, preparing food and decorations for a party after working hours may not leave much opportunity for spending one on one time with the furry family member in anticipation of the fete. A pet sitter, either before the party or during the event, can prove invaluable when keeping your beloved animal entertained. A pet sitter can make sure the pre-party exercise takes place, or can walk the dog for you during the window of guest arrivals and beyond, leaving you free to entertain your guests, as opposed to your pet. If you do not have access to a sitter you can look to other forms of entertainment for your dog, cat, ferret or feathered friend. A new toy which provides an invitation to keep busy elsewhere is always an idea to try. Freeze a dog safe rubber chew toy such as a Kong filled with dog biscuits and canned food, providing hours of happy stimulation for a dog. Cats may enjoy a new scratching post or carpet sprinkled with catnip. There is nothing wrong with letting a pet join the party, providing that you make guests aware of the possibility. Pet owners must remember that not all members of the human race enjoy the company of canines, felines, or rodents so the courteous host or hostess will always warn guests of potential extra party members. Doing so will permit your guest to decline (though we’d hope not), or at the very least relay to you their discomfort or uncertainty about sharing the celebration space with a member of the animal species. Remember, there are allergies to keep in mind as well. If the decision has been made to let your dog or cat join the affair, act wisely and be fair to both your pets and your guests by practising some party etiquette beforehand. If your dog has had training in the sit and stay commands, or your cat knows and obeys the fact that the table is off limits, the food, a main component of holiday gatherings, will be out of bounds for pets. Training of your guests is key, as well, to keeping animal friends safe and healthy; let your guests know that no matter how cute your canine companion is, or how friendly your feline may be no treating is permitted at the party. With a little thought and preparation, allowing your furry family member to be part of the holiday festivities is entirely possible. About the Author: Vetary Credit provides financing for veterinary care for your family pets. Pet treatment payment plans can be used for everything from routine tests to emergency operations. Your pet deserves its recommended treatment in its time of need. With Vetary, you can qualify for financing for immediate care, select a flexible payment plan that suits your needs and make monthly payments over time. Learn more. 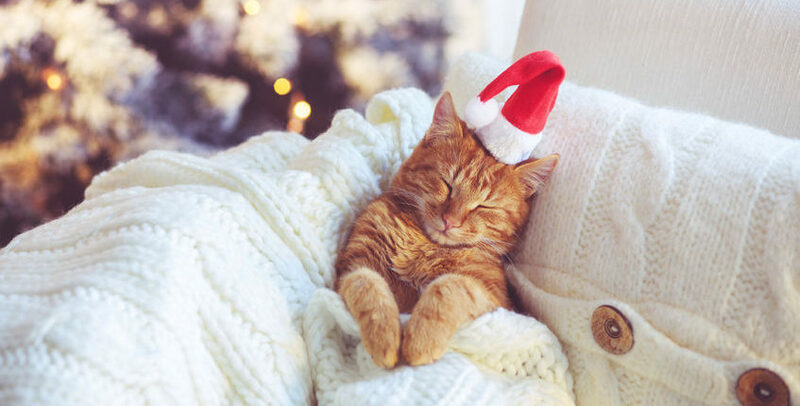 6 Ways to Keep Your Feline Comfortable This Holiday Season What Do You Know About The Greyhound?